Really glad to see Williams attract another new sponsor, I doubt Rokit will be paying as much as Martini used to though. Martini didn't pay "all that much" in the first place all Claire said back in the day is that it was 7 figures, the first number rumored to be a 1. They had to choose between a small space in the Ferrari and the whole car at Williams(plus team naming). 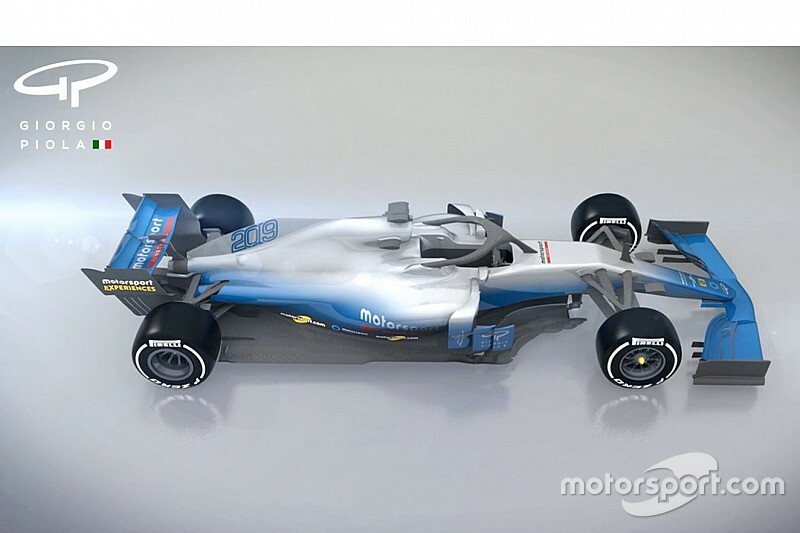 Anyway this livery looks stylish, let's see on the final car, the FW41 has a lot of "carbon areas"
I do agree that the black could've been even better. Although Rokit is new, it does seem to be a proper company with actual products (and has been around for about five years as a virtual wireless and streaming provider). It's also part of a larger outfit with various related brands. If its ambition in any way matches reality, it's going to be a good brand for F1 and a fantastic brand for Williams to be associated with. I'm surprised Claire W isn't getting more praise for bringing a new sponsor into the sport. This is the second time she's brought a major partner on board despite the team having a bad year, and I feel she deserves a lot more credit. The team has remained financially stable despite frequent prophecies of doom. I really wonder where they get their livery ideas in f1. I mean the blue to black transition is just non existent on this car. The fades look to me very elementary--like stuff I did when painting my model rockets in 5th grade. I've seen many, meaning multiple dozens, of liveries in the livery thread here on F1 tech that literally put the actual team liveries in F1 to complete shame. It's a no contest. People here are far, far more creative and honoring to team history than the best paint designers F1 has to offer...and it's like this every year. I know it's just my opinion and opinions all stink, but there seem to be many other people here who would fall into a similar conclusion as mine based on the comments and +1's in the livery threads over the years. Some are so good I'd actually watch more race coverage just to see the cars. I just don't understand the disconnect and how teams can get it so wrong or just meh. How is it free liveries made by people here at F1 tech are 10x better than the ones the teams actually use -- paying millions to realize??!? Just doesn't make sense. It's not a disconnect, it's real world constraints. Some companies can be very strict about their product names and logos. Fonts, Typography, color etc! I really wonder where they get their livery ideas in f1. I mean the blue to black transition is just non existent on this car. The black is bare carbon fibre. The coloured parts are not paint but vinyl wrap. Williams keep use of the latter to an absolute minimum for weight saving and cooling. F1 designers aren’t stupid or untalented, but they have to balance a whole slew of different considerations, mostly whether you can see the sponsor branding clearly from a variety of pre-promised angles - which is why Force India refused to comply with the directive about driver numbers on the nose until they were made to - but also practical considerations. Amateur artists have none of the limitations. And to be honest there are plenty of unattractive amateur efforts too. I think we’ve been a bit spoiled since 2014 with Williams having a totally iconic livery, a 21st century version of that wonderful 70s Brabham scheme. You're never going to please everybody. Personally I really like the blue/white fade it will be an easy car to pick out and they vary the background appropriately for the sponsors. Now if they can make a car that will bump them from the tail end of the grid. 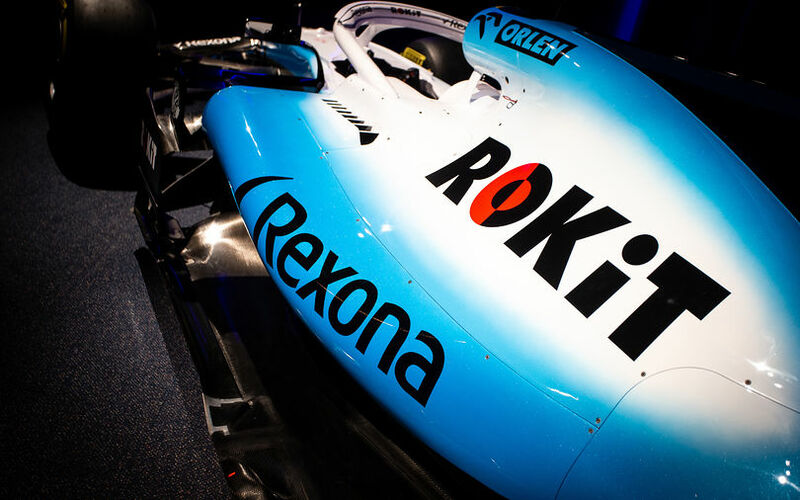 Williams' title sponsor is RoKit. A company nobody ever heard of, is just new, and makes phones, nobody has ever bought, and their website isn't even up and running? Not even the phone house has heard of Rokit fcol. Seems as weird as Rich energy, just...weirder. also, it gets weirder. they have more sponsorships. wait, digging up i find some more stuff half a year ago by rokit???? It's backed by Jean Paul DeJoria, a billionaire best known for founding Paul Mitchell hair care and Patron tequila. Another branch of the company, ROK Drinks, makes beer, whiskey, gin, and vodka. I must say i am going to expect more to come. For sure Patron Tequila will be on the car in US and Mexican GP, if not before. they even have energy drinks. 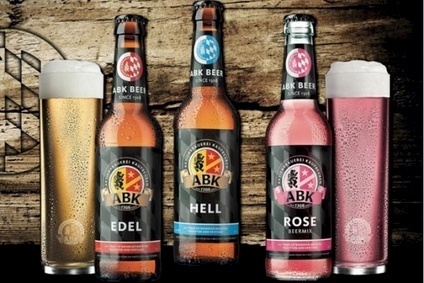 it just now recently started ROKIT, a cheap cell business (colour me interested), but it also has ROKDrinks. But, anybody whom i ask, NOBODY ever heard of the company. It is a very strange looking livery. One of the laziest I've ever seen. So Williams came up with the livery in-house. If it was sponsor colours I could understand but this is just hopeless. Boring low effort job. Bit surprised at the negative reaction to the livery. I really like it. Much cleaner and more striking than the 2000s navy and white. It’s no Martini, but then what is? Ultimately, design in the real world has many competing constraints. People making their own liveries at home have none of these, and are free to go crazy. They can produce very beautiful work, absolutely, and I'm sure the teams who produce the real ones could too, if given the opportunity. What do I mean by constraints? Anything from sponsors having demands around placement, size of logos, what colours their logos can be placed over, costs for the team; what sort of paint would we need, how complex / time consuming would it be? For Williams I'd also think there'd be issues like wanting something that would mean they wouldn't have to totally repaint their trucks, hospitality and so on. Designing anything is always a battle between the creatives, and every other faction involved. Pleasure! I’m a designer myself, and have seen many a favoured idea of mine slowly chipped away by other people involved, annoying enough, never mind if I was working on an F1 car!